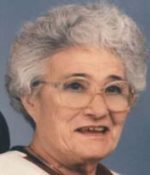 Remembering Laura Rhodes | Remembering Laura Rhodes | De Soto Obituary Search | Dietrich-Mothershead Funeral Home, Inc. Remembering Laura Rhodes | De Soto Obituary Search | Dietrich-Mothershead Funeral Home, Inc.
Laura Lorraine Rhodes was born December 26, 1923 in Parma, MO. 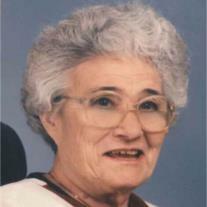 She was the daughter of Kewen and Irene (nee Cunningham) Sebastian. She died on March 30, 2016 at her residence in De Soto, MO at the age of 92 years. She is survived by her sons, Arthur (Carol) Rhodes, De Soto, MO and Vernon (Rebecca) Rhodes, Grandin, MO; one daughter, Sharon (Dolen) Johnson, De Soto, MO; two sisters: Elizabeth “Liz” Beckman, De Soto, MO; and Claradene Boyer, De Soto, MO; nine grandchildren, fourteen great-grandchildren; and five great great grandchildren. She is preceded in death by her parents; her husband, Mitchell Rhodes; one sister: Catherine Tidwell; and three brothers: Talmadge “Ted” Sebastian, Wendell Sebastian, and the Rev. Joel Sebastian; one great grandchild, Jeff Rhodes, Jr. She worked at the De Soto Shoe Factory and was a member of the First Assembly of God Church.